Im sure everybody already knows about how badly PS Vita is currently doing in Japan, selling 300,000 units in its first week and eventually declining to 175,000 sales during week 2. And now a brand new sales report just adds insult to injury. Something which really adds salt to the wound is how even the PSP managed to outsell the PS Vita, over 4,000 more PSP units were sold when compared to the PS Vita this week. While Sony are struggling Nintendo seem to be dominating with the Nintendo 3DS. The DS successor managed to outsell the PS Vita by a whopping 5:1 ratio. Currently the PS Vita is only available in Asia so we don't have any US sales records as of yet. However Sony still have reasons to keep their chin up as PS Vita demand in US/EU is supposedly quite high as blockbuster titles such as Uncharted: Golden Abyss and Ultimate Marvel VS Capcom 3 will surely turn the red sea blue for Sony. 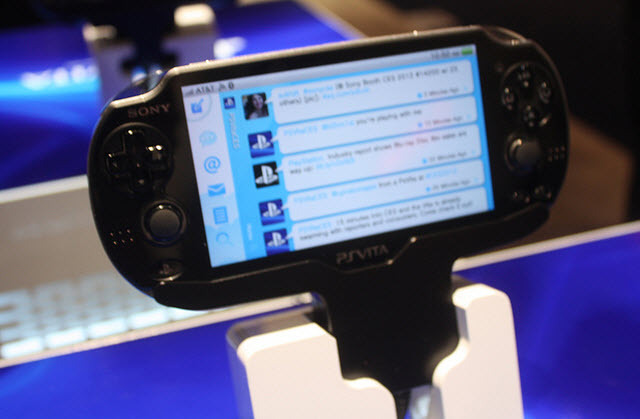 Let us know what you think of the PS Vita sales in the comments below! Will it suffer from terrible sales in the US? Or will it have a great US launch? Tell us in the comments below!